Featuring an eye-catching geometric design, this Hand-hooked Multi Butterfly Grey/ White Rug will fill your interior decor with style. Available in grey, this rectangular rug has a hand-hooked construction using polyester for a plush pile. This collection of nursery room baby rugs are designed in playful colors and patterns. 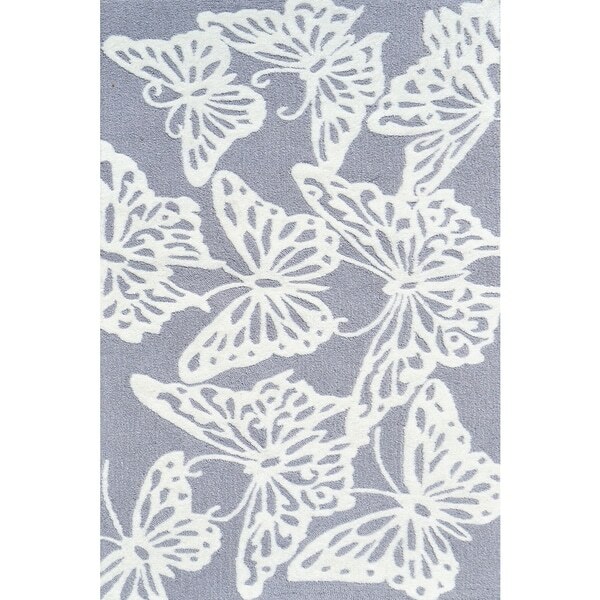 Classic and versatile, they make the perfect blend of style and comfort just like this Multi Butterfly Grey Rug. "Does this come in a larger size?" No, unfortunately this rug come only on this size.